The Greater Egg Harbor Regional High School District in New Jersey is implementing a biometric fingerprinting system to use for school lunch payments. As reported on Patch, the Oakcrest High School started using the system last week, and it will be rolled out to Absegami and Cedar Creek high schools. 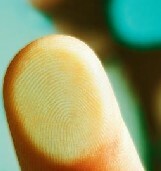 Students will set up accounts that will include a fingerprint. The system will identify the students based on characteristics of their prints and then charge the lunch to the student’s account. School officials hope that the new system will eliminate the liability of cash and create more efficiencies. Should it be successful, the district may look into the possibility of using it in school stores. In response to privacy concerns surrounding biometrics, the district said it wouldn’t be generating permanent records of the biometrics. The district has also said that registration in the system is not mandatory.